8 may 2007 - 0307 08/05/09 Car 7002 of 1944 by WStW – power station. Type GLW Wien/Vienna (AT) – depot/zajezdnia Florisdorf. 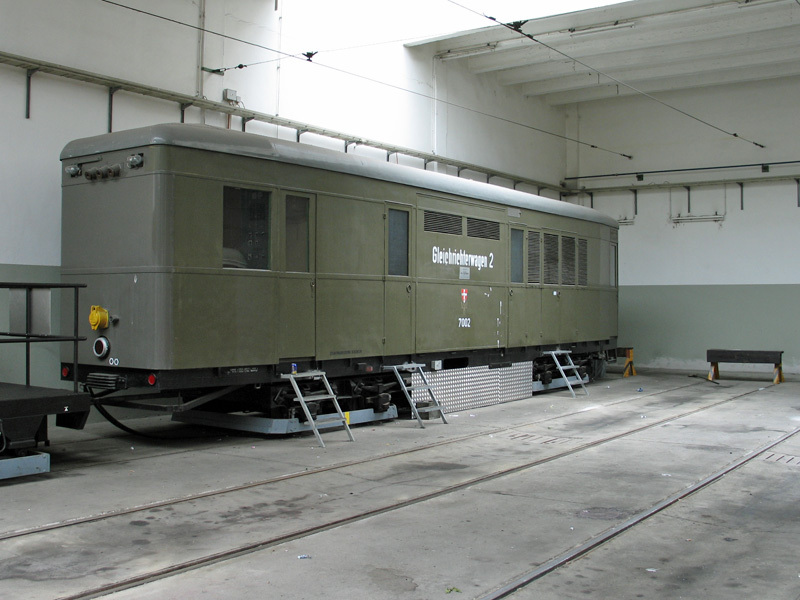 Wien even has two of these power generating cars, for use when a temporary electricity supply is required. They can be towed out to where they are needed and plugged in to the overhead line. Was is built as a generator or was it converted from normal passenger car?